Tatting is well known for having only 2 stitches, I've no doubt, first and second half (warning: picot is not a stitch! ), very basic and simple, but the more I read about it, the more I discover techniques that may change the appearance of the traditional tatting. I love tatting because I always learn, it is a challenge, like with English (that is very difficult for me, being a second language). 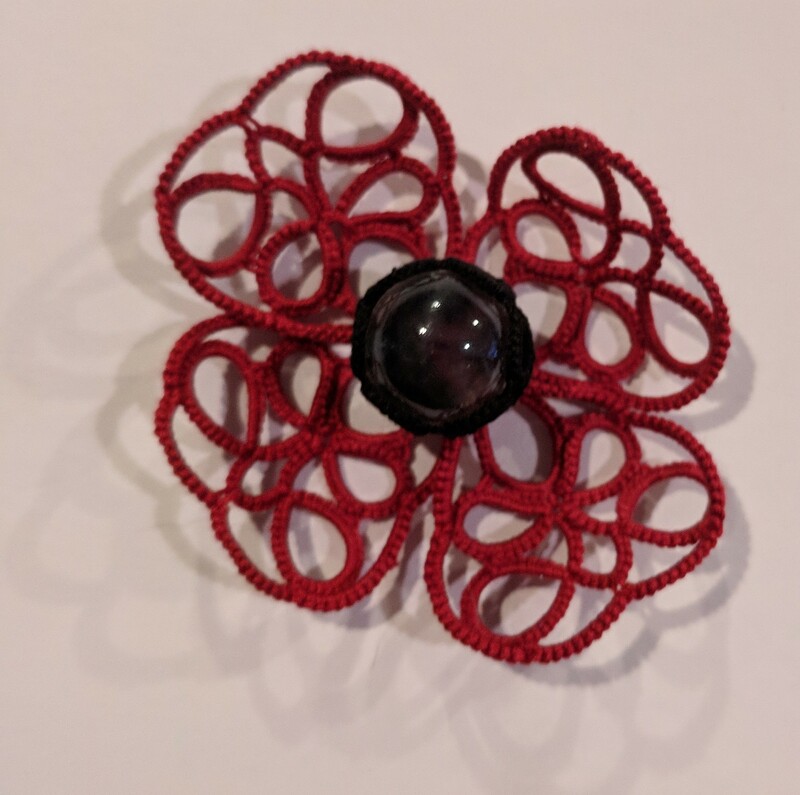 There is a wonderful project guided by Elizabeth Davis (aka Tatknot, link here: https://tatknot.blogspot.com/p/tatting-techniques.html). She has written 2 great lists of techniques, one of them has links to instructions and patterns. Many thanks for sharing your files, Eliz! Lately, I've been thinking about terms and translations. 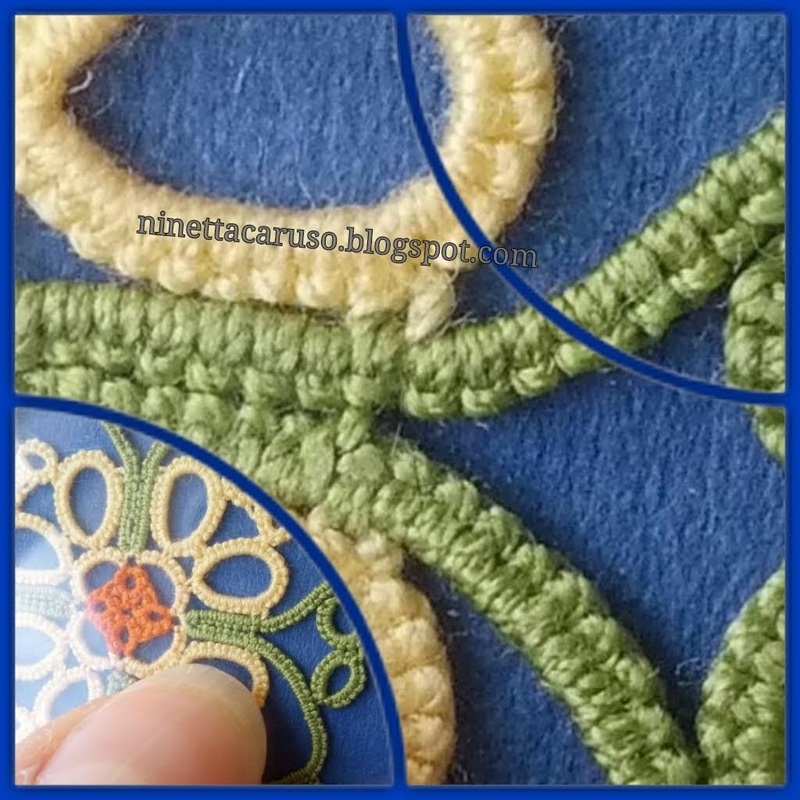 In my Italian, we can say, for example, that tatting or embroidery or crochet are crafts, handmade lace's techniques, and they have their own stitches. But, how many stitches? The fact is that we usually say "the crochet technique" or the crochet work, and talk about "a crochet stitch" even if it is not a stitch, but a way to arrange lines or groups of the main stitch, that is the single loop of yarn. Anyway, I've never read about "a tatting stitch" in the same sense, in fact it is commonly accepted that they are "tatting techniques". We say "lavoro chiacchierino" (chiacchierino is a noun, not a verb) and it is a technique in making lace. And also, just because we usually say that tatting has only 2 stitches, unfortunately that fact lets someone think that tatting is meagre. Now, if I were translating the list of tatting techniques to my own language, I would rather had used the term "punti" (that literally is stitches) because that meaning fits better in my understanding. I admire translators (human being, I mean), that put their own heart on trying to bring one word's meaning from one person to another. I think it's impossible to have just one language and I love the rich heritage that every language or dialect is full of. But I also love the fact that I can read in a second language, I'm so happy that I've started to. Yes, it’s good to learn a second language. The judges who wrote about my Under an African Sky doily said it was faulty because tatting should only use double stitch, but in fact it does only use ds. As you say, it uses new techniques, not new stitches. Ty Jane, that is funny, your doily is one of the best example of tatting techniques, it's beautiful. It always amazes me how just 2 stitches can create such diversity (including in knitting). You ask a very relevant and intriguing question, though. yes, agree :) Music has 7 notes, we play with 2! Ah, the eternal dilemma of languages and translation! I agree with you....I respect those who can translate well. I claim Music as my first language. I find English difficult to write well enough to express myself. I currently live in a neighborhood with 2 schools teaching translation at the college level. You never know what you may hear as you walk around! Fun!! Very interesting comparing the two languages, tatting is world wide yet just with a diagram the pattern is understood. Yes, ty Margaret! Hurrah for diagrams! :-f and numbers, too!!! I have long admired your ability to express your thoughts and ideas so well in another language (and your tatting). As someone who speaks three comfortably and is working on Italian, I am in awe of how you are able to do so well with such specific words for tatting. I've just been to your beautiful country and was on the lookout for il chiacchierino but didn't find any. 🙁. I hope someday my Italian will be as good as your English! 'Punti' has been borrowed from needle lace - punto in aria (stitch in the air) - where the basic stitch is buttonhole. Likewise, tatted lace has a basic stitch/knot - a double stitch. There are many effects with double stitches, also with half-stitches, either 1st hs or 2nd hs. But techniques are another matter entirely. Actually, in my own mother language, that is Italian, the term punto has a wider scope, not only restricted to "punto in aria", that is only one type of needle lace. I think that tatting has some - not one - basic stitches, the first half and the second half are 2 of them, one double stitch is another one, but that is my very very own personal perspective. Tatting is beautiful, and it doesn't matter how we talk about it, the "understaning" of a term may differ passing from one language to another, maybe I can't understand what you really mean with my Italian word "punto". But tatting is all beautiful, and, unlike words, it is the same pretty thing in any place of the world. Punto in aria was just one example from needle lace. The French word is 'point', as in 'cinq points de Venise'. However, the basic stitch throughout is buttonhole. As in tatted lace, the basic is a double stitch/knot, no matter how you choose to apply it for an effect.